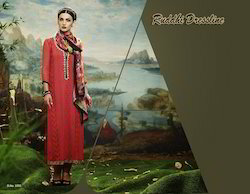 Providing you the best range of embroidered ladies suit, exclusive designer long salwar suit, georgette ladies suits, ladies suit, georgette salwar kameez and vinay suit with effective & timely delivery. 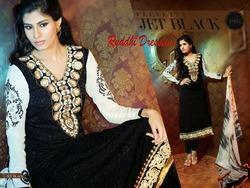 We are offering a fascinating and fashionable range of Embroidered Ladies Suit to our huge client base. 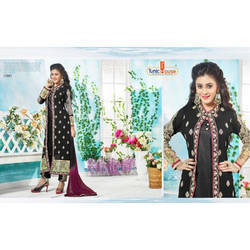 These suits are designed by keeping in mind the latest fashion trends and developments. The offered suit is checked using modern technology under the guidance of our well qualified and experienced professionals in strict compliance with the industry set standards. 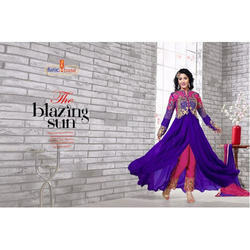 In addition to this, offered suit is available in various sizes, colors, prints and designs as per the need of valued customers.